Solvent cleaner to prepare the surface for examination. A fast drying cleaner for the removal of all kinds of contaminants on the surface to be inspected. Serves as a preparation of the surface before inspection with liquid penetrant. Penetrating colorant to mark the cracks and failures. Red colored, water washable penetrant for non-destructive testing of metal surfaces. The penetrant can flow into tiny cracks within a time frame of 10 to 20 minutes. The excess of penetrant has to be washed away before using the developer. Developer to make the marked cracks and failures visible. Magnifies and makes each trace of Crick 120 visible after the developer has been applied, for at least 7 minutes. 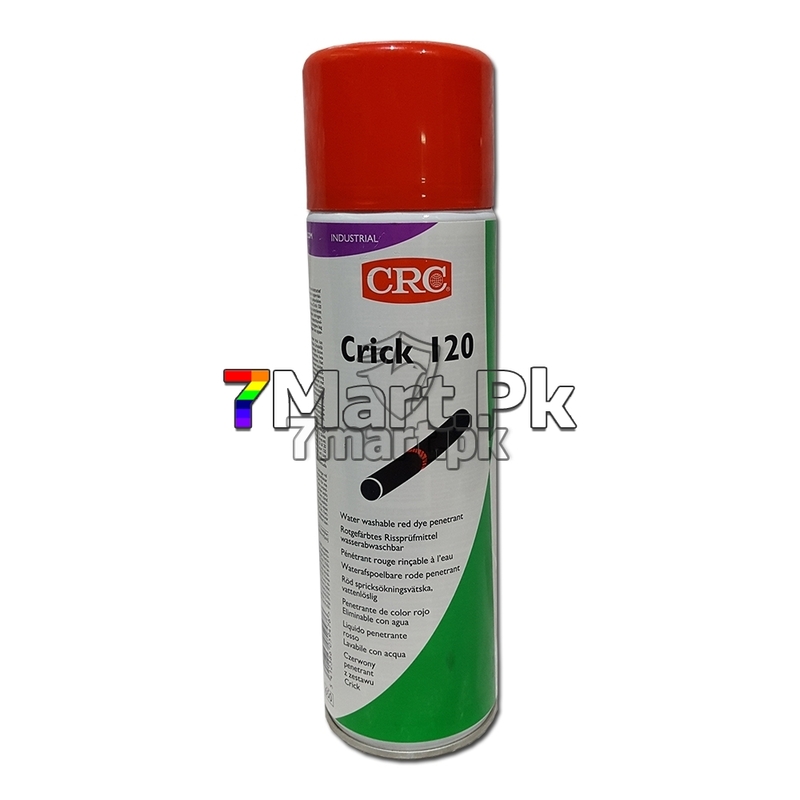 Post cleaning of the inspected area can be done with Crick 110. Easily removable.